Cellula - s/t / Horchata/Ocosi - "2" / Shadu et al - "Swimming In The Nihil"
Cellula is the trio of Michael Palace (aka Horchata), Rob Braswell and Miles Tilmann. In addition to their musical activities Palace and Braswell are both research scientists at the University Of New Hampshire's Complex System Research Center and Tilmann is a Chicago based animator and designer. Polly reviewed Tilmann's "Underland EP" in AI #17 and reviews of several of Palace's Horchata CD's appeared in AI #'s 20-21. Cellula's music is characterized by a combination of drifting ambience, percussion, and fun freaky sounds. The mood is very quiet and peaceful throughout, yet a series of sound patterns are prominent, adding a quirky robotic feel that gives character to the atmospheric vibe that forms the foundation of the music. Though similar in style, I found side two of the LP to have the most interesting music. A huge ambient wave moves along at a slightly quicker pace and the intensity level is much higher, as is the deep in space feel of the environment that the trio create. Overall this is the kind of subtle, slowly developing stuff that requires headphones and a relaxed frame of mind to enjoy the cosmic ooze that it massages your brain with. 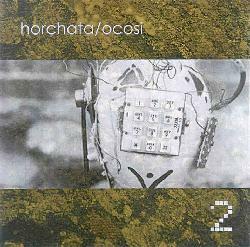 Chuck reviewed the first Horchata (Michael Palace) and Ocosi (Paul Molyneux) collaboration in AI #21, and reading his description of that album it sounds like their sophomore effort, simply titled 2, is similar in style but with a more experimental edge. The music is characterized by a blend of ambient space, trip-hop beats, and loads of experimental soundscapes and freaky textures. The beats can be somewhat valium paced and robotic at times and in these cases they tend to get in the way of the stronger spacey elements. But when the components do gel into a more harmonious whole the result is an intriguing mixture of meditative drift, off-kilter toe tapping beats, and oddball sounds that register high on the freaky meter. And as the album progresses it becomes clear that the strongest and most interesting tracks are the ones that make use of these various sounds to help color and shape the direction of the music and also push it more into experimental territory. Some are minimalist patterns that travel in a linear fashion and others are individual textural bits that crop up throughout. Some tracks are more focused on floating space and beats while others are pure experiments in sound and even noise. I especially dig the spacey atmospherics combined with the drugged downbeat vibe that the electro percussion creates. One track that stands out is "Decay2" which may be the simplest tune of the set, but includes intensely deep, chest pounding, heart throbbing Dub bass beats along with bubbling and bleeping alien electronics. Even at low volume the beats were threatening to burst my eardrums with their potency. Quite an effect. 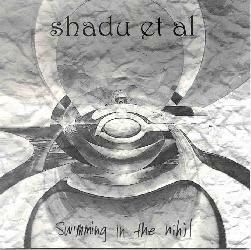 An earlier release that Michael Palace was involved with is the 1998 Shadu et al CD Swimming In The Nihil, which is more of a band project featuring the songs of Phil Hissom. Hissom's vocal style is a form of semi-anguished folk that often brings to mind Daevid Allen. Very eerie and passionate indeed. But the music is very interesting, often having a sort of machine shop industrial rhythmic base which gives the feel of a dark, drugged folk-dance concert on the factory floor. There are some similarities to Pink Floyd's Wish You Were Here album though Shadu et al really have a sound all their own. I'm also reminded stylistically of a lot of the lo-fi singer/songwriter submissions I receive, though this is well produced with good sound and clarity among the instruments. Some of the songs also have a spacey psychedelic vibe, using bubbly UFO synths for cosmic embellishment. 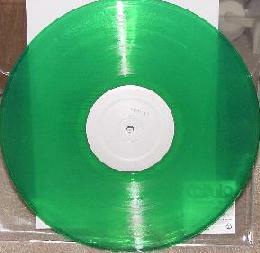 "Ghosts" is a little different including Spanish guitar amidst the electro strangeness. And the last two tracks are instrumentals that seem to highlight and build upon the kind of music that backed the vocal tracks. An impressive set of very odd but highly creative songs.